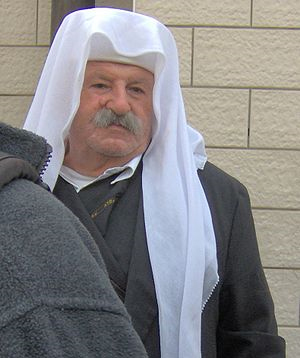 The Druze in Israel speak Arabic and identify as Arabs, but they are a community distinct from other Arab Israelis, with their own religion and cultural norms. The Druze see their religion, which broke off from Islam in the 10th century in Egypt, as an interpretation of the three large monotheistic religions–Judaism, Christianity, and Islam–and they regard Moses, Jesus, and Mohammed as prophets. The Druze religion has no set rituals and ceremonies, but eating pork, smoking, and drinking alcohol are forbidden. Druze have a strong belief in reincarnation. Druze religious literature is only accessible to a group of religious initiates called the uqqal. The Druze religion is closed to outsiders; they accept no converts. Today, approximately 800,000 Druze live in Syria, 450,000 in Lebanon, and 120,000 in northern Israel. The Druze people in Israel live in the Carmel region, the Galilee, and the Golan. The Druze in the Carmel and the Galilee are Israeli citizens. Most of the Druze in the Golan are Syrian citizens who hold permanent resident status in Israel. Druze in the Golan mostly identify with Syria, where their families live, and they often visit family and go to school there. But as permanent residents of Israel, they have access to Israeli schools, enjoy municipal services, and are better off economically than their families in Syria. 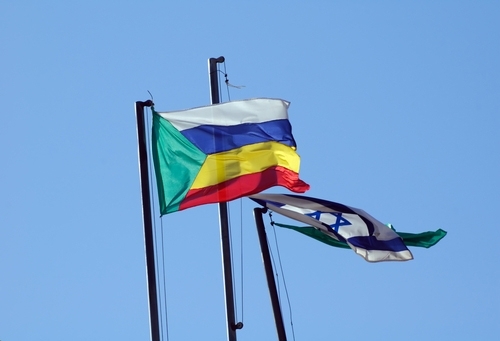 The Golan Druze are distinct from other Druze communities in Israel. The former group is culturally more modern, because of Syrian influence and also because of distance from Druze religious centers in the western Galilee and Lebanon. The Druze in Israel mostly live in separate Druze villages, though some villages have a mixed population that also includes Muslim and Christian Arabs. The Druze also have a separate educational system, and their religion, recognized by the Israeli government, has its own court system. Druze mostly do not identify with the cause of Arab nationalism. In the years preceding the founding of the State of Israel, Arab nationalists persecuted the Druze, often violently, while the Jewish leadership strove to develop positive relations with the Druze. In the 1940s, when Muslim Arab nationalists attempted, unsuccessfully, to take over the Druze’s holiest site, Jethro’s tomb, which overlooks the Sea of Galilee, the Druze relationship with Arab nationalists deteriorated further. As a result of their service in the army, Druze men have risen to high positions both in the Israeli military and the Israeli government. Army service has opened up employment opportunities to Druze men, particularly in security. Army service and subsequent employment among Jewish Israelis also exposes Druze people to the norms of Jewish Israeli society. As a result, Israeli Druze society, though still very traditional (even relative to Arab Israeli society as a whole), is slowly changing. These changes are especially marked in the status of women. After they return from the army, Druze men are pressured to make money to build a home so that they can marry and provide for a family. However, more and more Druze women are pursuing a higher education while their male counterparts are in the army. These women mostly live at home and commute to school, but they are still breaking the stigmas attached to higher education for women in traditional Druze society. The educational imbalance in favor of women creates an interesting tension in a society where women’s roles are very circumscribed. Traditionally, single Druze women are not allowed to leave their village unless accompanied by a male family member. When a Druze woman marries, usually within her hamula (clan) and in her own village (many married couples are also cousins), she joins her husband’s family. Divorce is strongly discouraged in Druze society. “A married woman is sometimes expected to suffer violence in order to preserve the family, and most of all not to divorce,” explains Hiham Arayda, a Druze divorcee who now advocates for the rights of divorced Druze women in Israel. Excommunication remains a powerful tool to maintain social norms within Druze villages. Most of Druze society still operates according to these traditions, but women’s higher education and men’s exposure to Israeli Jewish society has already begun to change Druze attitudes. According to a survey conducted in 2008 by Prof. Majid Al-Haj and Dr. Nohad Ali of The University of Haifa, most Druze now support women going to work, even outside of their community, and are even willing to elect a woman to public office. These changes in women’s employment opportunities and financial status, however, often do not translate into changed attitudes toward the traditional family structure. But recently, some non-profits have been established to provide advocacy and support for the women who are most vulnerable within the Druze family structure–divorced women and widows, who are traditionally not permitted to remarry. This situation is particularly difficult for young widows of soldiers in the Israeli army. Divorced women confront further problems because according to the Druze tradition, when a couple divorces, the woman returns to her parents’ home while her children remain with her husband and his family. Druze man, courtesy of Noa. Despite their mandatory army service and their participation in the Israeli work force, Druze still face discrimination on both personal and state levels. Many Jewish employers are unwilling to hire Druze workers because they are Arab. In Jewish Israeli towns that have boards of residents that control who is allowed to live in the community, the few Druze who apply for residence are usually unwelcome–just like other Arab Israelis. And the Israeli government gives less money per pupil to Druze schools than to Jewish schools.